As you may have read in the "About Me" section, my hometown is Napa Valley, a region with a unique blend of down-to-earth farmers and ranchers, blended with hobby vintners and celebrity tourists and weddings. Recently a rumor circulated the valley that a decapitated horse head was left on the back stoop of the world-famous restaurant Bottega (article here). I knew it couldn't be there as part of the dinner preparations because it is illegal in California to sell horse meat for human consumption. It was later revealed that the head skinned mammal appendage was a sheep's head. The source of the head remains a mystery, but it does bring to mind the infamous scene in The Godfather in which a horse head is left at the foot of someone's bed as a warning or a threat. For those who subscribe to The Equestrian Professional, an article was e-mailed today about receiving complaints from your equine customers, and that in fact, complaints can have a positive effect on your business or enterprise. I loved the point made about solving and preventing issues through education; as you all know, I am an advocate to help horse people become more legally educated in their horse activities, whether those activities are for profit or just for pleasure. Excerpts from the article are listed below; for the entire article click here. Complaints can stimulate creativity. Sometimes a complaint will make you aware of a need that you could fill (and charge for). One riding instructor heard her customers complaining about their kids not getting their homework done on lesson days. So she created a special after school riding program that included a tutor to help the kids get their homework done at the barn. The parents were thrilled and the riding instructor had a new (and more profitable) program. 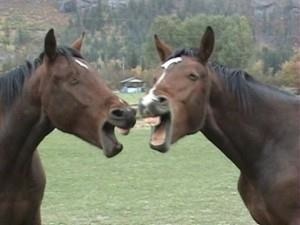 In the equine world, complaints are often solved through education. In fact, education is one of the most important goals of a successful horse business marketing plan. The better educated your current and potential customers are, the better decisions they will make. Also, a well educated customer is far more likely to appreciate the work that you do and will place a higher value (both emotional and financial) on your services. While it is unlikely an unhappy business partner would leave a horse head at your door or in your bed, it is possible horses will be used as leverage when a deal goes sour. For example, your co-owner of a horse may refuse to consent to a sale, a trainer may take a larger commission than you had anticipated, or installment payments on a horse/ trailer/ piece of tack may not be made in full to you as you had orally agreed with the buyer. 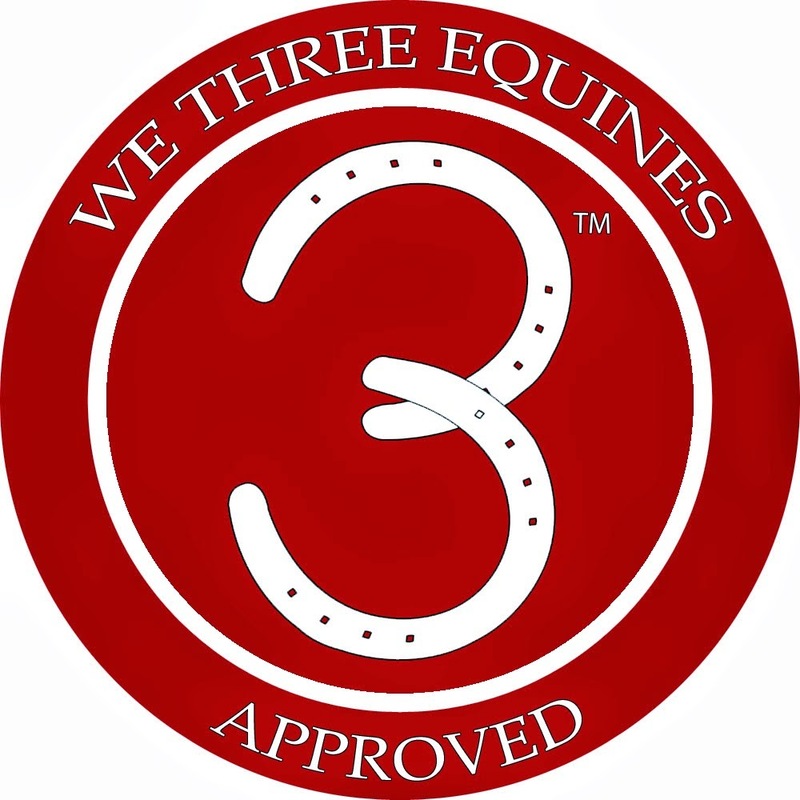 Take-away: educate yourself as to your equine legal needs, so that you can better communicate and educate your customer or business partner in aspects of your joint equine transaction. Happy first day of Fall for my North American friends! Of course for those of us in the Bay Area, we welcome Indian Summer with open arms. a nice treat for you and your horse- and healthy to boot. "I haven't used a lawyer in an equine transaction, but I would if it were needed." 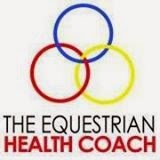 One of the reasons I write this blog, and include links to other equine legal resources in the left hand column, is for your legal health. 2. 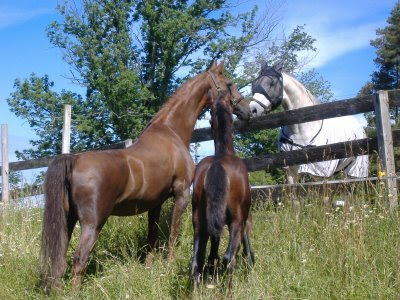 When you meet with a lawyer to discuss your equine business, it is helpful to be prepared to understand the basic legal vitals of your enterprise- such as: the liability that would arise from this activity, how things could go wrong, and what kind of communication with a customer could help prevent problems. The transition of summer into fall also marks the approximate one year anniversary of this blog. 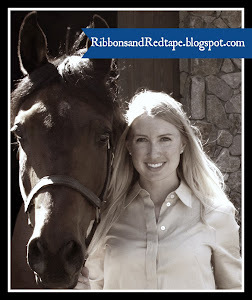 I started Ribbons and Red Tape as a place to share one of my equine legal research projects (link to full paper in upper left corner). Since finishing the project I decided to continue this blog as a way to give back to, and participate in, the equine community. The pleasure has been mine, and I look forward to riding through this season with you! 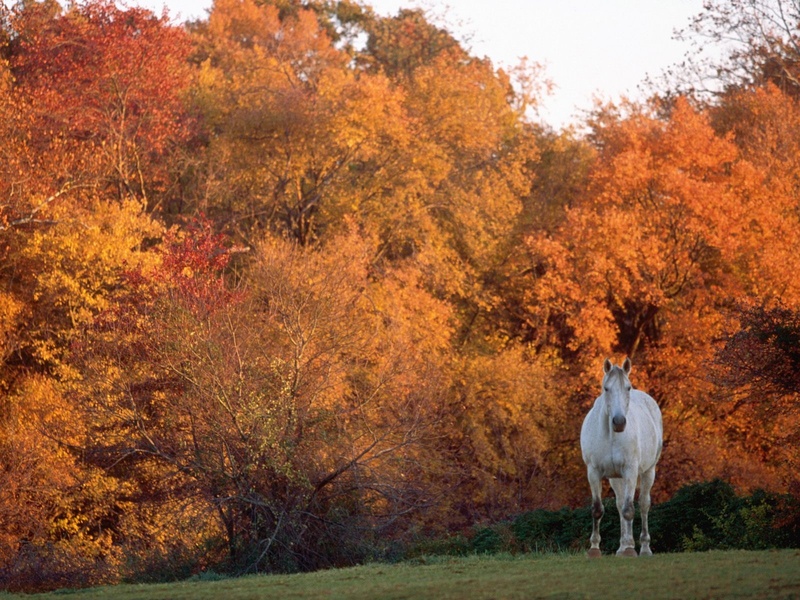 Happy weekend, happy rides, and eat your Fall apples! The intersection of law and horses is a funny thing. 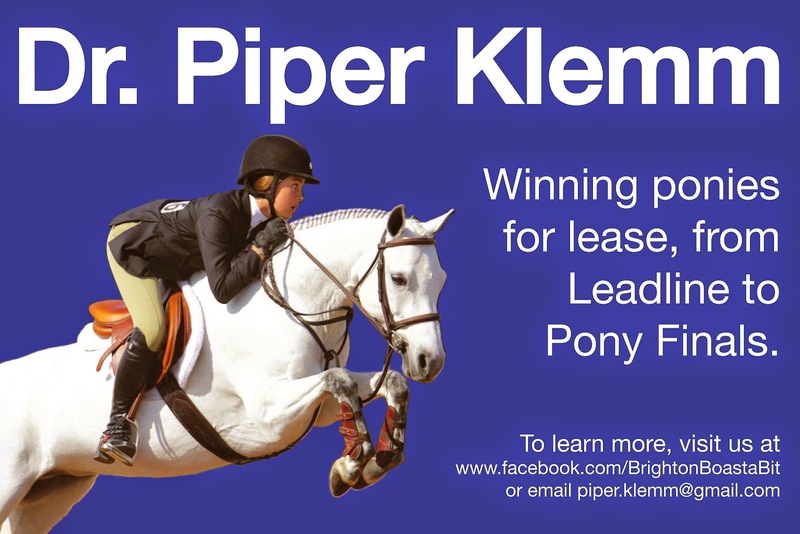 When I was growing up in the horse world I had always thought lawyers might be reserved for racehorses or exorbitantly expensive ones, and lawyers wouldn't have a place in the average competitive and recreational world. But then I went to law school, and I realized how frequently deals go wrong, often due to a lack of communication or understanding of each other. So I started talking to horse people, and I realized how frequently people have felt "burned" or treated unfairly in a horse transaction. 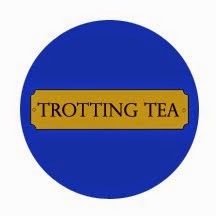 Common themes I hear are issues with trainers and being charged more than expected, trainers not receiving what they believe they deserve, issues with lame horses after a sale, and boarders who won't pay their bills. Straight from the horse's mouth... what's YOUR opinion? Source: USEF Facebook Fans' Funny Horse Photos submitted by Ferne Johnson... and look for my boy Lux! There are such simple steps that can be taken to avoid many of these issues, such as a proof of sale or sale agreement, an insurance agreement, a trainer's commission agreement, a trial-period agreement, an insurance agreement, a release of liability, boarding agreement, etc. 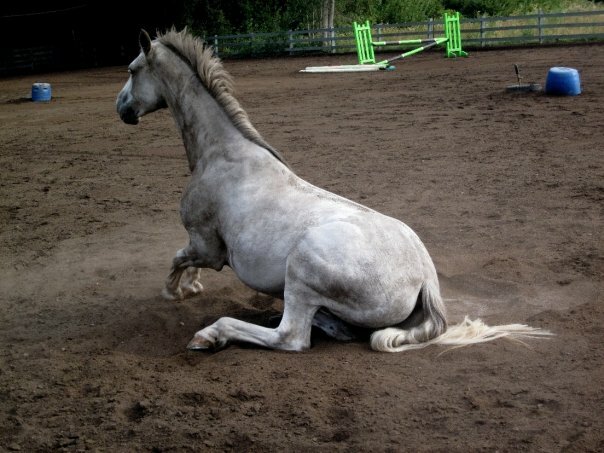 To me, the best way to avoid problems is to anticipate where problems could arise- this comes largely from horse world experience and learning from horse transactions that have gone wrong. But in large part it is common sense: no matter how friendly you are with the trainer, barn owner, or seller of a horse, unfortunately when money is in issue there is a rather high likelihood of good faith going out the window. 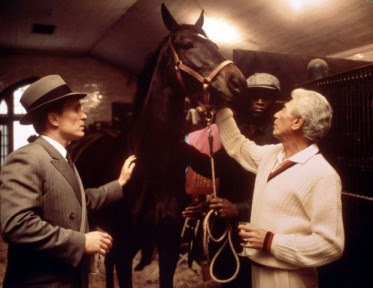 So I would really love to know- what are your thoughts on using a lawyer in your horse transactions? Would you use a lawyer once to receive a set of forms for your barn that you can use over and over? Would you use a lawyer as a preventative to help avoid problems, or would you only use a lawyer if something went wrong? Thank you so much for your time in selecting your answer to the poll! This past weekend I was in DC to visit family. I always love touring the monuments and excellent museums. I lived in DC for one summer during college, and I have forever been impressed with the power and weight of history in the District. Which brings us to today's topic: Congressional powers! Time to brush off those cobwebs from your civics class in high school: remember the executive (President & V. President), legislative (Congress = the House of Representatives + the Senate), and judicial branches of government? As you know, these three branches act as checks and balances to government power, and are mandated by the US Constitution. Guess what: Constitutional law applies to horses! In response to lobbying, Congress passed legislation appropriating $200 million for grants to aid domestic horse liniment manufacturers, and providing some degree of protection from foreign competition. Because of concern about inefficiencies in the industry, the legislation was amended to allow the Secretary of Commerce the authority to deny grants to horse liniment manufacturers who failed to meet certain "management efficiency standards" outlined in the legislation. One liniment manufacturer petitioned the Secretary of Commerce for a $15 million grant. This amount equaled the amount permitted by the legislation, based on the number of the manufacturer's employees, its plants, and its average production of horse liniment over a 10-year period. But the Secretary of Commerce REFUSED to award the funds, because she determined that the liniment manufacturer was not attempting to improve its management efficiency. The manufacturer filed a lawsuit against the Secretary of Commerce, asserting that the power Congress granted to the Secretary was unconstitutional. But the manufacturer lost. Because the Secretary of Commerce is a representative of the executive branch, she had the authority to regulate the legislation. Based on this example, if you have ever used horse liniment, you have participated in modern Constitutional law! Constitutional law can be a dense topic, but I hope to bring more awareness of our everyday interactions with Constitutional parameters, especially in the horse world. One of the most famous Constitution-Equine cases is the Amish horse buggies and the 1st Amendment right to the Free Exercise of Religion (the law requires traffic reflectors to be placed on the buggies, in opposition to Amish religious practice). Thanks for bearing with the civics lesson!